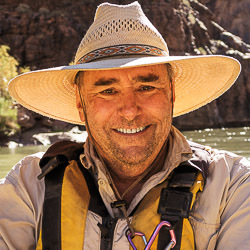 John Blaustein began his photography career as a river guide photographing the Grand Canyon. His classic book, THE HIDDEN CANYON, traces the path of the Colorado River from river level throughout the entire canyon. John later expanded his work to include a commercial portfolio, and he has traveled the world for numerous corporations. His clients have included businesses, publications, non-profits and individuals. In 2016, John retired from his commercial photography business. He lives in Berkeley, California. After more than 35 years of working with clients from all over the country, I am no longer accepting commercial photography assignments. Some people might call this retiring, but I'm thinking of it as a time to do different things. I recently asked a photographer-friend of mine: “What makes a good client?” His answer was simple: “Good clients are the ones who hire me, and bad clients are the ones who don't!” With that in mind, I'd like to thank all the good clients who hired me over the years. You had confidence in me, sent me to great places, introduced me to some wonderful people, and gave me the opportunity to do a wide variety of challenging projects. Some of those projects are included in the Commercial Work links above.